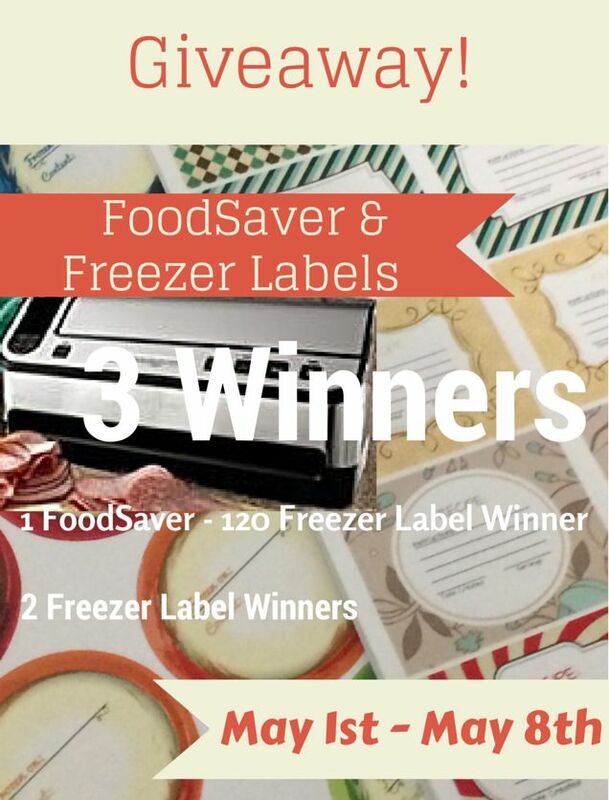 FoodSaver and Freezer Label Giveaway! 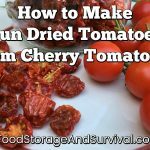 A group of my homesteading and preparedness blogger friends have come together to bring this giveaway to you. By entering you have the chance to win 1 of 3 prizes! PLUS 120 Professionally Printed Freezer Labels from FreezerLabels.Net this is a $319.00 Value. 2 – Second & Third Prizes are 120 Professionally Printed Freezer Labels from FreezerLables.Net for 2 winners. Freezer Labels have been provided by Freezerlabel.net they are designed to be used in freezing environments and made to last, unlike other paper labels. Visit their website to find printables and other freezer labeling tools. Anyone 18 years or older, and a resident of the United States, including Alaska and Hawaii. You can find the official Giveaway Terms and Conditions by clicking here! Store as much as possible. Every paycheck buy some stuff to store. When applying tattler re-usable canning lids, tighten band one-handed until jar starts to rotate with it, then stop. After processing, tighten each band immediately when you take the jar out. I have had much lower failure rates this way. Keep track of what and when you store (especially in the freezer). It’s awful to lose bags of fruit or packages of meat that you’ve worked so hard to produce. I keep a notebook of everything in and out. It’s not only a good inventory, but it is a way to estimate what your family is eating over a period of time so you don’t under or over prepare or purchase. Example: We used to eat Brussels sprouts 2-3 times a month, then not so much…No need to keep freezing bags and bags of them anymore, now it is broccoli.